Ashley Christman is a former nurse and Certified Lean Six Sigma Master Black Belt with a background in organizational change management and Lean. Her extensive experience in healthcare quality and performance improvement has transformed a number of organizations and led to better outcomes in patient care, reductions in wait times, and more. Her experience includes consulting for the CA Department of Public Health as well as multiple large hospital systems, including Santa Rosa Memorial and Petaluma Valley Hospital. Her passion for improvement and educating others led her to begin teaching in order to help entrepreneurs, professionals, and leaders create a sustainable culture change by empowering them to be change agents and champions of innovation. You can find her online at @learnlivelean on Twitter and on LinkedIn. 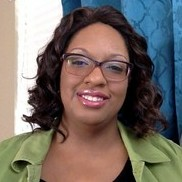 Find out more about Ashley Christman, LSS MBB, SSBBP, CSM at http://www.learnlivelean.com.